FFA - CAIR’s Islamophobic report places bullseye on patriotic, America organizations including Florida Family Association for their fatwa followers. CAIR’s Islamophobic report places bullseye on patriotic, America organizations including Florida Family Association for their fatwa followers. The Council on American Islamic Relations’ (CAIR) Islamophobic Organizations report debuted at the World Bulletin on April 29, 2015. World Bulletin was one of the only news organizations that Google Alerts has reported thus far to post CAIR’s fatwa report. 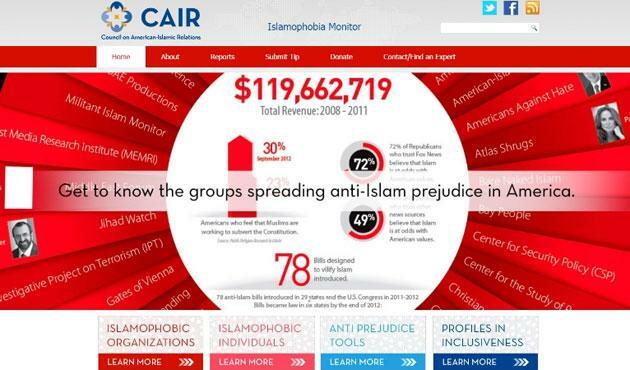 CAIR cannot realistically contend that their report is intended to just shame any of the three dozen non-profit and media organizations mentioned in the Islamophobic Organizations report to cease their reports and concerns about Islamization of America. Their report essentially puts a target on patriotic, American organizations for their fatwa followers to see. Their minimum intended goal is to intimidate Americans to stop saying anything negative about Islam. Sounds a lot like Sharia, because that is exactly what it is. CAIR’s Islamophobic Organization report says this about Florida Family Association: The Florida Family Association, founded in 1987 by David Caton, has pressured companies and courts to adhere to anti-Muslim practices. Despite operating only in Florida, FFA has garnered national attention. FFA is part of the U.S. Islamophobia network's inner core. Florida Family Association is strongly committed to countering organizations, media and public policies that advance Islamization of America. If you would like to support Florida Family Association with a tax deductible, confidential gift please click here or mail your donation to PO Box 46547, Tampa, FL 33646-0105.